The EPA’s Maximum Available Control Technology (MACT), the emission standard for sources of air pollution, sets forth specific guidelines mandating the maximum possible reduction of harmful emissions, taking both cost and feasibility into account. Under the Clean Air Act Amendments of 1990, MACT must not be less than the average emission limitation achieved by controls on the best-performing 12% of existing sources. For boilers to successfully meet the EPA’s MACT guidelines, it is crucial to utilize quality boiler equipment and trusted testing/calibration technology. 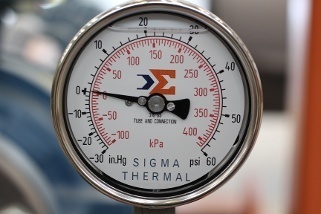 The team at Sigma Thermal understands the importance of MACT testing and compliance, therefore as a supporting service, we frequently guide clients through the process. Various factors are involved in determining boiler MACT applicability, but all are predicated on the total potential emission rate, or hazardous air pollutants (HAPs) of the facility itself. Facilities can be categorized as either a “major source” or “area source.” Major source facilities emit or have the capability to emit at least 10 tons of a single HAP, or at least 25 tons of a combination of HAPs, per year. All other facilities fall under the area source category. Next, determine subcategory allocation. 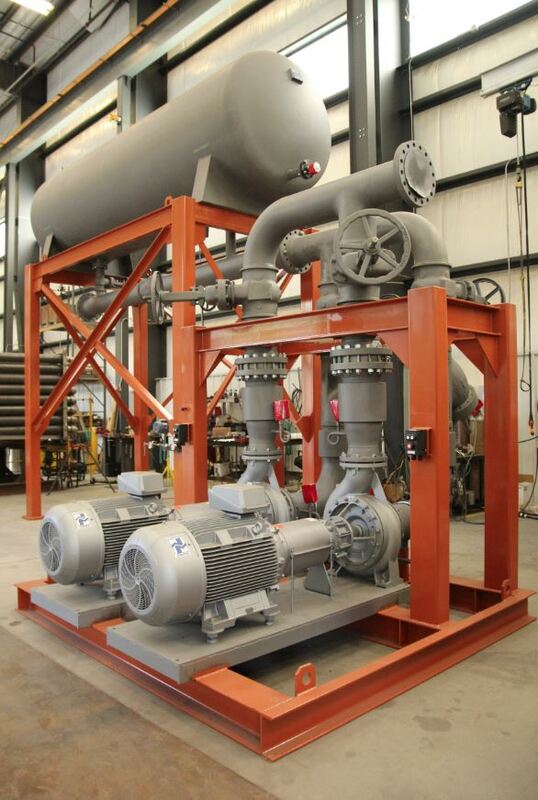 The subcategory depends on the type of boiler design (stoker, fluidized bed, etc. ), the size of the unit, the type of fuel being burned, and whether the fuel type is a new or existing classification. Initial boiler tune-ups must be carried out by applicable compliance dates, after meeting the initial compliance requirements for boiler MACT. All existing major boiler units should be subjected to a one-time energy assessment. This assessment includes an inspection for cracks or corrosion, overall evaluation of operation, inventory of energy-consuming systems, and review and recommendations for plans and practices including cost and efficiency measures. Extensive performance tests are also required for units that are subject to emission limits. Performance tests for existing units must be conducted and in place within 180 days of the compliance date. After assessment and performance tests, compliance can then be determined. If your boiler emission limits fail to meet the requirements, alternative options are available. Such options include boiler replacement, retrofit or modification of the boiler in order to switch the subcategory, or making adjustments to the way a multi-fuel boiler is operated so it can function under a different subcategory. To avoid the risk of non-compliance and consistently meet ongoing MACT requirements, companies may make use of air pollution control devices and CEMS (continuous emission monitoring systems) while keeping close track of operating parameters and associated records. Additionally, regular tune-ups should be pre-scheduled and conducted, and all required compliance reports should be submitted in a timely matter. The EPAs Compliance and Emissions Data Reporting Interface (CEDRI) requires companies to submit all performance test results and notification reports (including periodic reports). Although MACT policies are not currently enforced, boiler owners/operators cannot plead ignorance to the law if found to be non-compliant. The lack of recordkeeping or performing timely compliance activity could be subject to an audit that could potentially produce retroactive penalties and fines (up to $25,000 per day). Boiler issues that may lead to non-compliance include fouling on the heat transfer surface or boiler operation outside of the normal combustion range. Sigma Thermal works closely with clients across a range of industries to help ensure that their heating equipment is compliant and its operation remains reliable. Our clients take advantage of prescheduled periodic servicing, also known as Sigma’s Total Customer Care Program, which includes annual testing, burner tuning, and other preventative maintenance. Members of this program also receive priority scheduling, fixed service rates for three years, a 5% discount on all spare parts, access to our 24-hour priority customer support line, and access to a growing library of helpful how-to videos covering common maintenance tasks and service issues. To become a member or to learn more about our Total Customer Care Program, connect with us today.